Take a break from Srinagar with a short trip to Gulmarg Golf Course in Gulmarg, about 1h 45 min away. 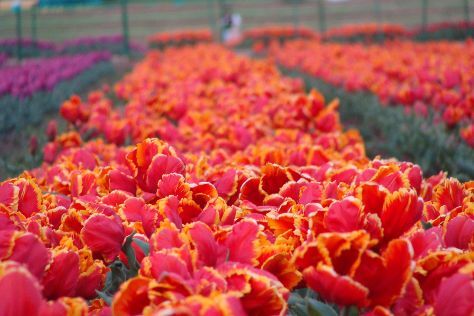 Next up on the itinerary: admire the natural beauty at Indira Gandhi Tulip Garden, take in the dramatic natural features at Sonamarg, make a trip to Shankaracharya Hill, and explore the activities along Dal Lake. To see reviews, where to stay, maps, and more tourist information, refer to the Srinagar online trip maker . In April, daytime highs in Srinagar are 19°C, while nighttime lows are 13°C. Finish your sightseeing early on the 22nd (Mon) so you can travel back home.